The reception committee of 38th Joint Circle Conference of Postal & RMS unions of Kerala Circle has conducted Art festival for the employees. Family members more than 100 artists have participated in the completions on various events. Sri. 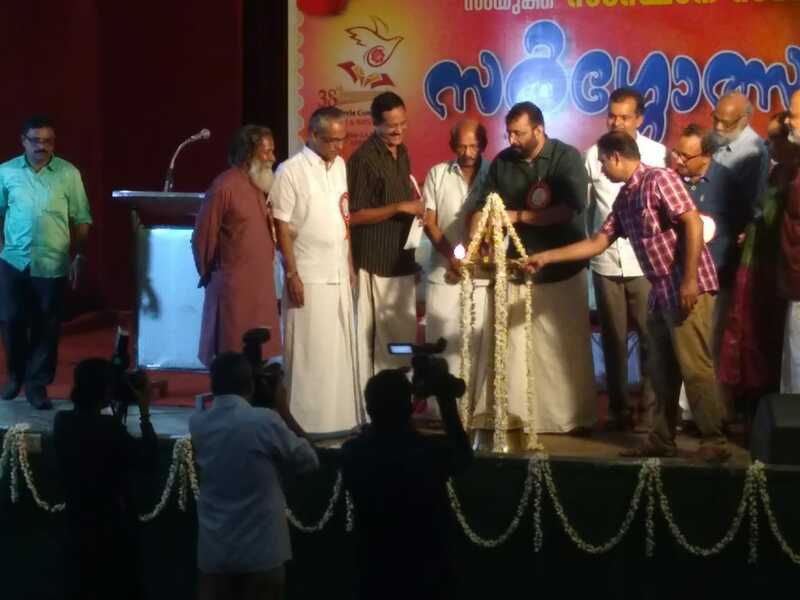 P.Sreeramakrishnan Hol`ble Speaker Kerala Legislative Assembly has inaugurated the Art Fest . 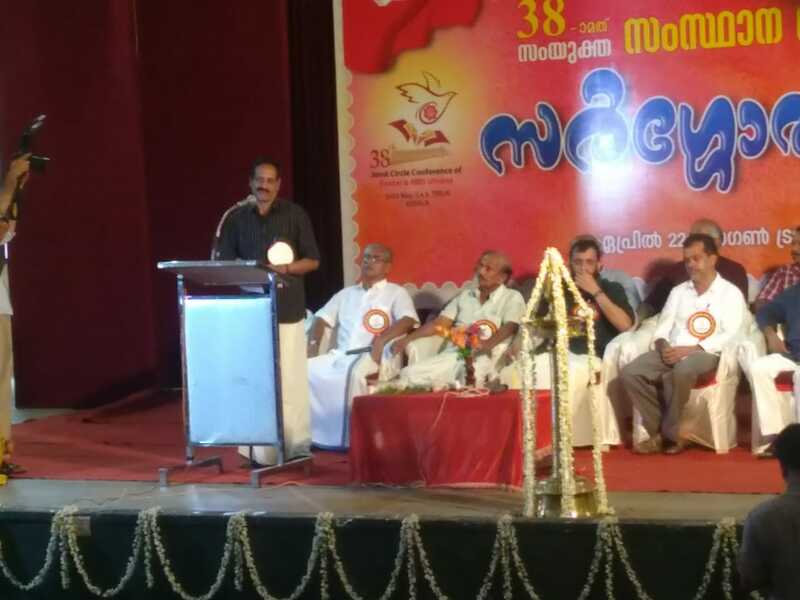 Com P.K.Muralidharan Circle convenor presided over the function. Famous Malayalam film artist Mamukoya attended as Chief Guest, eminent Poet Manmboor Rajanbabu , Dr,N,Rajan, COM. P.V.Rjendran CCC Vice Chairman, com. P .Hrishikeshkumar General Convener Reception Committee were present. Many young Writers belonging to Postal RMS has participated in the Literary Camp ( Both Poem and Story ) Conducted on the same day. Dr. Anil Vellathol ,Vice Chancellor Malayalam University has distributed the prizes to the winners. The Joint Circle Conference is scheduled to be held at Tirur from 3rd to 5h May,2018. 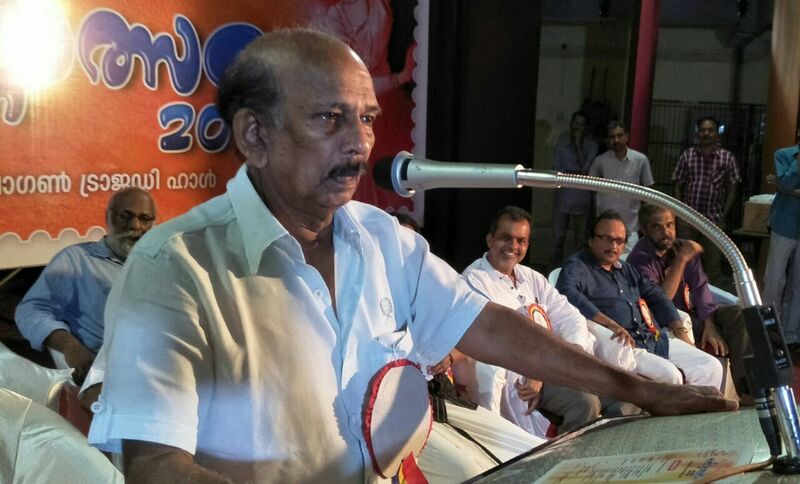 .= P. K. Muralidharan Convenor NFPE Kerala .